What flowers have you grown in your garden to attract bees? Have you heard there is a concern today about the dwindling bee population? I wrote about bumble bees in one of my earlier posts. Bees!! 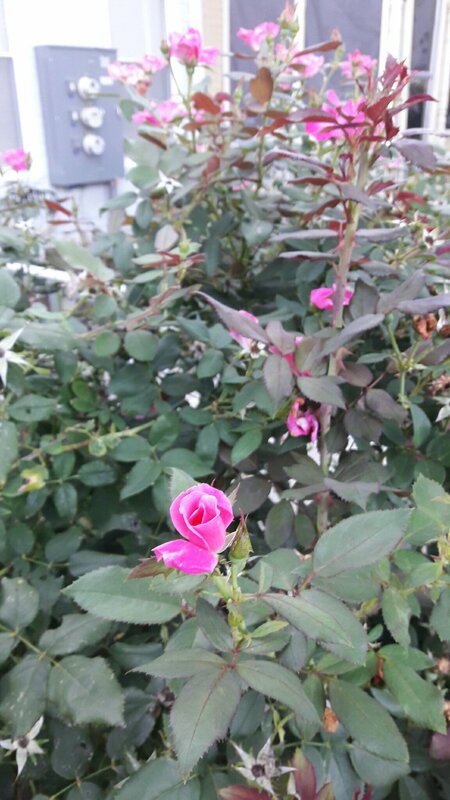 The above is a 2 year old knockout rose bush that has grown so large and gives plenty of flowers. It is low maintenance and looks great in your yard. 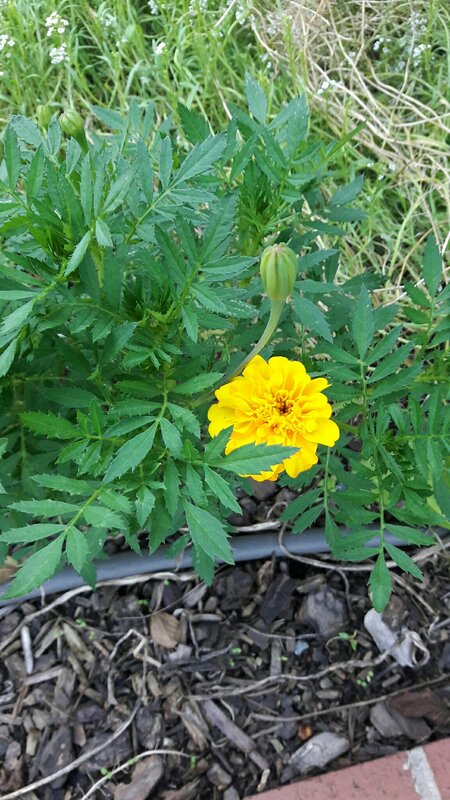 Marigold above I planted from seeds I purchased online. They took a long time to sprout and are just now starting to bloom. 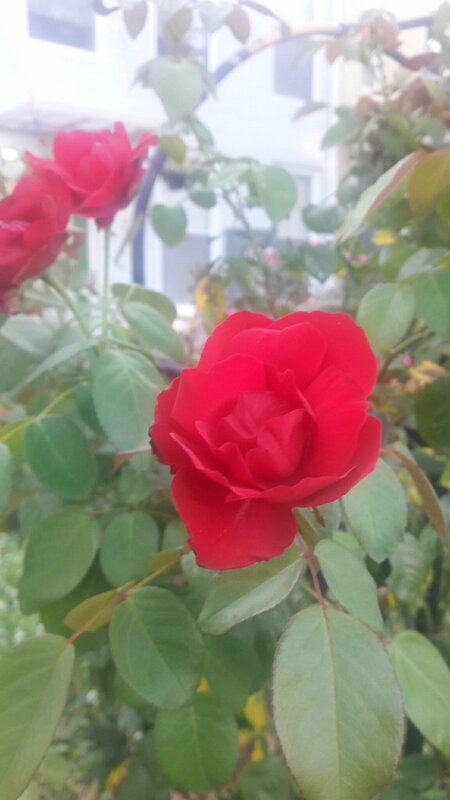 Here is a 1year old red rose that also grew quickly in size. I have had to combat aphids in the spring and am still battling bug problems today. Best thing to do is keep a watch and pick off the bugs, and cut off the damaged or sick leaves. 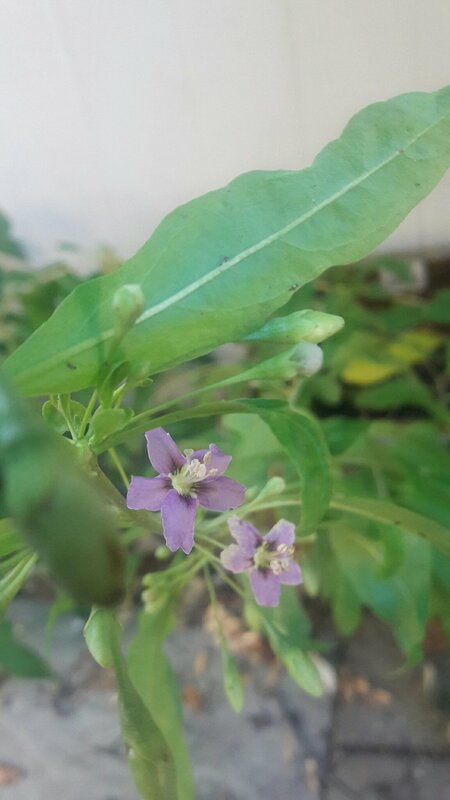 Finally, the above are the first flowers on my gojiberry bush. I purchased it this spring from an online site. They mailed me two small bare roots that I planted in pots. Both seem to be doing well though I recommend using bracing to shape the plant and train the plant into a shape you like. You are a loving person who plant garden to spread love to all flowers. I believe bees help to pollinate in between different plants with their busy body every day. You planted flowers, learned how to water, trim,ferterlize and even talk to them. Everyday we look at them,observe their growth and happy seeing colorful bloomings. We find joys when we care for them. We as greenthums are busy as bees. I love your flowers and deeply appreciate that you share your happiness to us. Happy day today and every day. happy birthday! nice garden, like your “blog”,that is a great idea and informative. enjoy “your” day.